1 Bedroom Link Detached House For Sale in South Yorkshire for £130,000. An internal inspection is absolutely imperative to appreciate the standard and finish available in this beautifully presented one bedroomed, coach house conversion. Newly converted by a local builder to a high standard in a modern contemporary style, the property offers accommodation over two levels with the benefit of off road parking, garden area to the front, double glazing, under floor heating, brand new kitchen, bathroom, decor, flooring and hard wired alarm system. 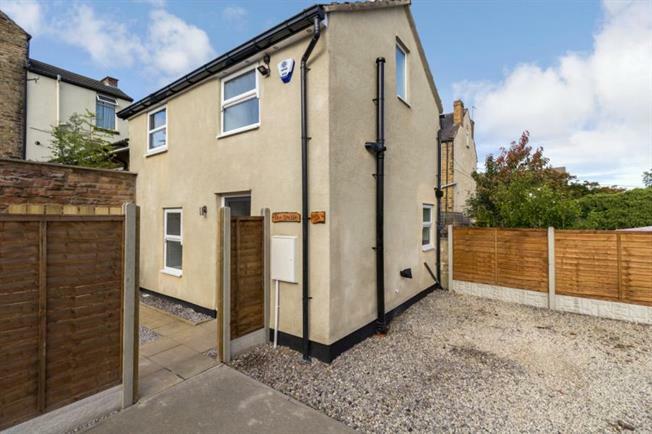 Located in the heart of sought after Walkley, with a range of excellent amenities including local shops and supermarkets, public transport links and access to the city, principal hospitals and universities, local pubs, restaurants, cafes, independent retailers and library. The accommodation comprises an entrance door opening to the kitchen, fitted with an excellent range of base and wall units in high gloss white with contrasting granite effect work surfacing, inset stainless sink, integrated oven, hob and extractor, under floor heating, recessed spotlights and under cupboard lighting, slate effect flooring and carpeted staircase to first floor landing. The lounge has wood effect flooring, under floor heating and window to the front. On the first floor, the Bedroom has wood effect flooring, window to the front, Velux style window to the rear offering excellent natural light and built in storage cupboard. The Bathroom has three piece comprising WC, wash basin and shower cubicle with tiles splash backs and heated towel rail. To the exterior of the property, a garden area to the front with gate provides an outdoor seating and entertaining area, to the side of the property is an off road parking space. An early viewing is a must to take advantage of this unique property.